Grows in matts on tidal mudflats. The green to purple stems are beaded and grow to around 5mm thick on average. 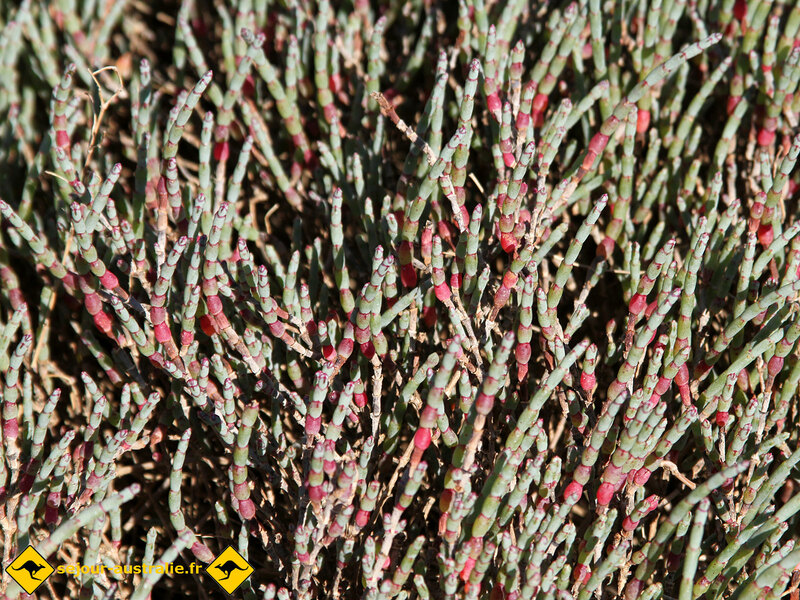 The purple-green stems contain a woody centre and can grow up to 50cm in length on rare occasions (10-20cm on average). 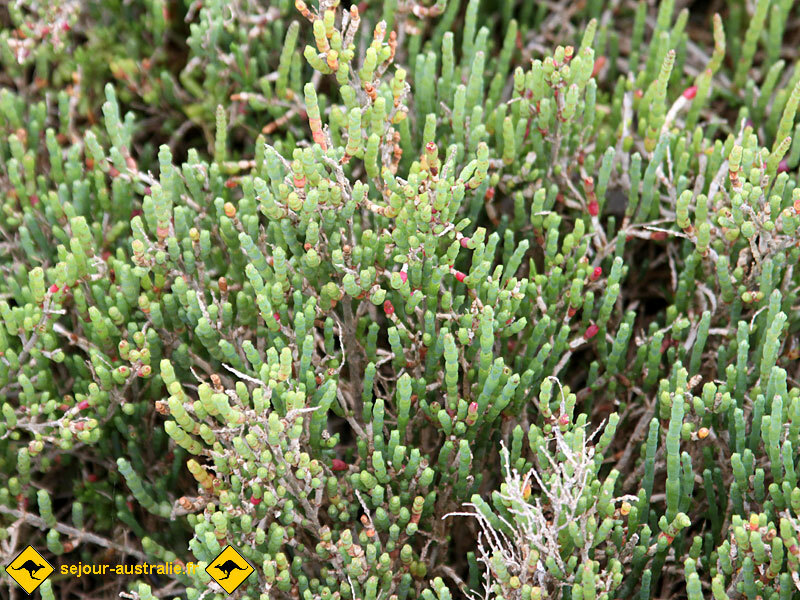 Samphire was used by convicts and officers alike in the early days of colonial settlement to battle the dreaded scurvy. It can be eaten raw, cooked or pickled and is most tastiest when steamed or blanched.